sailboat. 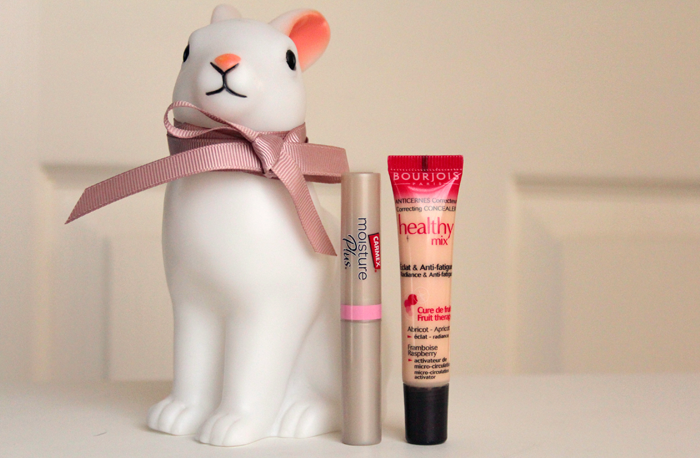 : September 2013 Beauty Favourites! 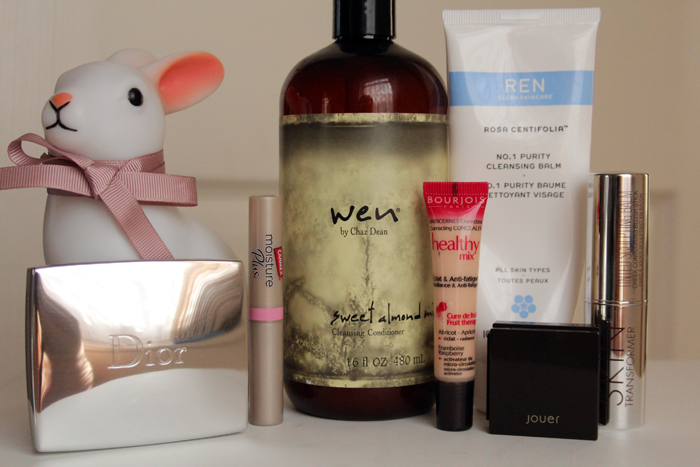 September was a month that was a mixture of new beauty finds as well as rediscovering a few old favourites. I'm not really a seasonal make up wearer but I did find myself reaching for a few products I probably won't use quite as much during the cooler months because they're quite summery colours. I do love them a lot though so I'm sure it won't be months before I find myself wearing them again! This is a product that's meant to be used in place of a regular shampoo and conditioner. You're supposed to use the right amount of pumps for your hair type/length and work it through your hair from the roots to the ends & then rinse well. I tried this, I really tried but I just couldn't seem to get used to it and I really missed using a regular shampoo. Instead though I've been using this as a conditioner. I use it as you would a regular conditioner, smoothing it through my hair before rinsing it out. I then use another half a pump and put it through the mid-lengths to the ends as a leave-in treatment. I love it so much this way, my hair feels super soft & is much more manageable. The scent is also beautiful, really refreshing and it really lingers in my hair - lovely! I'm planning a little feature on some of my favourite cleansers very soon so I won't say too much about this little beauty other than it's a beautiful, beautiful cleanser. Rose scented skin care is something I have a real soft spot for; this isn't a super sweet, sickly rose scent, it's luxurious and it makes it a real pleasure to use. If you have skin that's a little on the oilier side I would say make sure you really rinse this off well because it can have a tendency to leave a slight residue, but if you have dry skin I would say this is a must-try if you like to invest a little more money into your cleanser. The only down side I've found so far is that my tube wasn't completely full, I'm not sure if I just got a bad one or whether the packaging is too large for the amount of product inside - I'll have to look into this a little more! Tinted lip balms are my current favourite lip products because they're so quick and easy to apply, they're completely fuss-free and I'm all about the fuss-free make up right now! The regular Carmex in a pot has never been my favourite lip balm, I'm not sure why, but I think these (new, I think!) tinted balms feel so much nicer, and much more smooth on the lips. They have a slight vanilla scent and it gives a really nice amount of colour to my lips, it's quite a light pink that makes my make up look effortless but still really put together. I think I put this in a products-I-was-disappointed-in post but I've completely changed my mind, at least for now. Over the summer, my skin seems to have become much less dry and I've been able to use this concealer without it making my dry areas look a million times worse. The coverage is lovely, the lightest colour matches me perfectly and I just think it's an all-round great product. I'm hoping my skin doesn't get super dry again this winter, time will tell! I've definitely talked about this so many times before and mentioned that it's the most luxurious make up product I own and that I love it a lot. I still love it a lot, I think I always will and last month I could barely stop myself reaching for it. It looks ridiculously bright in the pan, but this is one of those pink shades that is perfect for all year round, when you want a pretty flush of colour and sometimes wearing such a luxurious make up product puts an extra spring in my step & I have no idea why! Peachy blushes aren't something I find myself wearing very often, but whenever I do I always think about how much I like them so I think I should wear them more! This is a really beautiful cream blush that also looks pretty on the lips too, which I think is rare to find because they're often a little too dry. It's one of those blushes that blends like a dream and although the peach colour is super summery, I think this is one I'll wear all year round because it's too pretty to sit in a drawer unloved. My last favourite for September is one that I think will be in my favourites for a long time to come, this blush is absolutely beautiful. It's not very often I find a blush that I can apply as well with my fingers as I can with a brush, but I think it's because this product practically blends itself and it looks like I'm hardly wearing any make up in a very good way. It's subtle but manages to give my cheeks a lovely, healthy flush and a real lit-from-within look. It's a colour that I can see looking amazing on so many different skin tones and the formula is creamy enough to blend easily but not so creamy that it slides off. This is one of those products I think should be much more well-known than it already is, I love it! What were your favourite beauty products during the month of September? I'm so in love with the Dior blusher, it looks absolutely beautiful! I love the sound of that shampoo/conditioner. I was always wary of using that bourjois concealer because I was worried it might be quite yellow like the foundation. I've been loving stila oasis eyeshadow. Usually I don't wear eye shadow daily, but I love this shade. Haven't tried any of these but they all look fantastic. I think most of these are no available in the US, unfortunately. 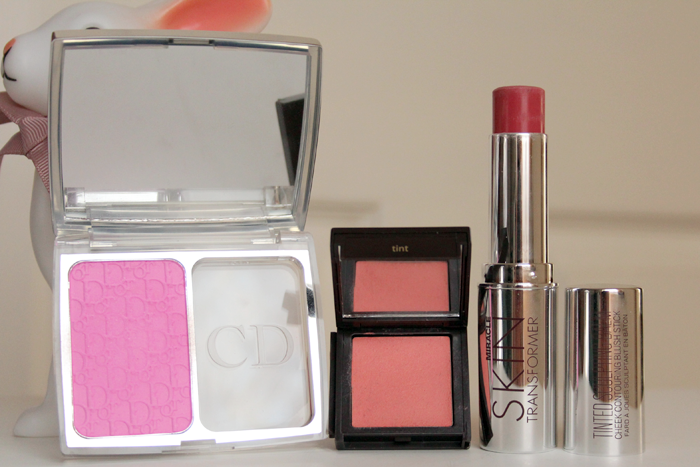 That Dior blush looks like the perfect color -- i just love a flushed cheek! 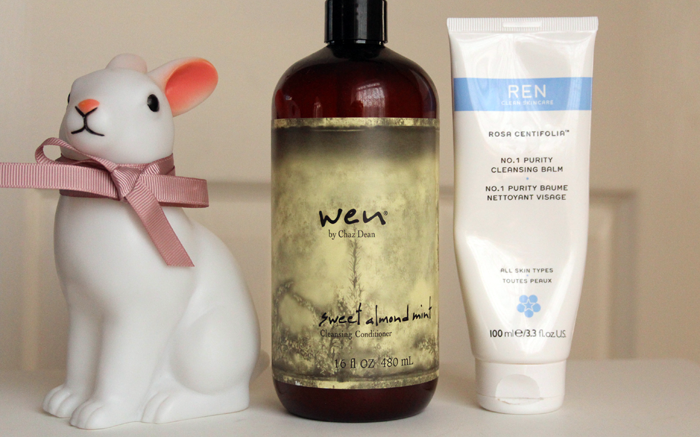 Ooh the Wen Cleansing Conditioner sounds really interesting and the sweet almond mint is adding to the appeal.Although I don't think I can go without my shampoo, I need it to get the all important body to my hair in the colder months! Also the tinted sculpting balm looks a truly gorgeous colour, and like yourself I could see myself wearing it on a everyday basis for a natural flush of colour! Thanks for putting it in your favourites will have to give this one a go! The bunny lamp has a ribbon! I need to give my bunny lamp an accessory. Perhaps a hat? I've been wanting to give the cleansing conditioner a go for a while. I got one from L'oreal in Canada but it's not available over here (from the everriche range). I worry it will be too heavy for my hair, but I am a sucker for trying out new things! I tired the Wen cleansing conditioner a while ago and really couldn't get used to it either. I ended up not using it after a few attempts, but I did really love the smell. That Joker honeysuckle tint looks gorgeues! Such a pretty colour! The pink Dior Blush is beyond pretty! I have never tried a Dior Blush. I love their eyeshadows & always feel a little more beautiful when I wear them (total state of mind). I love love love your blog. Your posts are such a good read and I can not wait to read your future ones. Consider me a happy new follower, thanks.